Is Hawaii Prepared For What Southwest Airlines Might Bring? We need a working, practical consensus on how to best negotiate continuing growth in visitor numbers. When Hawaii’s tourism train was built its engineers didn’t consider installing brakes. This became more obvious in 2018, which was a banner year for Hawaii’s visitor industry. 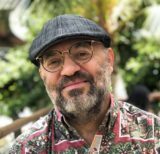 “On any given day,” the Hawaii Tourism Authority wrote last month, there “were 242,600 visitors in the Hawaiian Islands.” On average they spent a total of $48.8 million per day, supporting 217,000 jobs statewide. These are remarkable numbers, and there is no overstating the economic value of Hawaii’s visitor industry. The daily visitor census is equivalent to 17 percent of Hawaii’s resident population. Hawaii actually accommodates more visitors than the Department of Education does students. Visitor industry jobs account for 32 percent of total non-farm jobs in Hawaii. Visitor expenditures alone are equivalent to nearly 20 percent of state GDP. Such reliance on one industry comes with risk. A Southwest Airlines 2005 Boeing 737-752 departing McCarran International Airport in Las Vegas in 2017. The carrier intends to begin service to the islands this year. Cheerleading is part of HTA’s mandate, a job it does well, seldom pausing from issuing its numerous reports to question the noneconomic impacts of tourism. Opportunities for further growth, it reported again in announcing December data, include “renovations (and) upgrades to Hawaii’s tourism product” and “increased distribution of visitors to the neighbor islands.” Translated, this means there is upside in giving visitors more places to spend money. To successfully increase visitor numbers requires the capacity to accommodate those visitors. By HTA’s tally, Hawaii welcomed 9.95 million visitors in 2018, an increase of 5.9 percent from 2017. It did so with a net increase of only 42 accommodation units, bringing the total to 80,751, with a decline of 945 hotel rooms being offset by an increase in timeshares and vacation rentals. That nearly 60 percent of its visitors are repeaters attests to Hawaii’s desirability as a destination. If “Hawaii’s tourism product” is the industry’s true goal, it should mean looking more closely at which groups spends the most. The clear answer is Chinese visitors; nearly 80 percent are first-time visitors, and they spend over $350 per day, about 75 percent over the per capita average for all visitors. South Korean visitors are the second most generous spenders, with average daily spending approaching $300. Unfortunately, Hawaii is attracting fewer of these high spenders. Chinese visitor air arrivals decreased by 10 percent in 2018, South Korean by 12 percent. Hawaii’s core visitors leave behind less money. Combined, U.S. West Coast and East Coast visitor numbers grew by 9 percent, and accounted for 65 percent of 2018 visitors and 96 percent of total visitor growth. The recent arrival of an empty Southwest Airlines plane and its plans to initiate service from four California cities to four Hawaii destinations is front-page news. 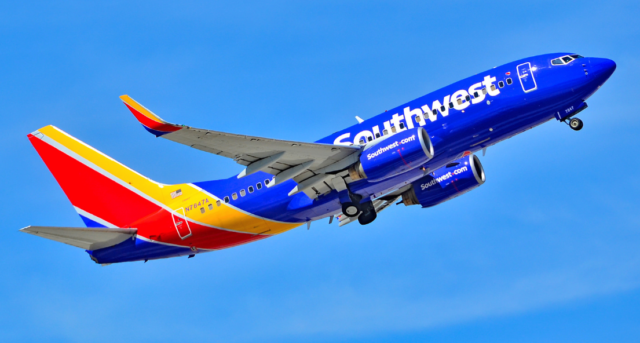 Southwest service will impact the local economy in at least three ways. First, Southwest flights will affect Hawaiian Airlines. Its arrival should bring lower fares, which together with its lack of fees for checked bags will mean new challenges for Hawaiian, one of the state’s largest employers. Second, West Coast-sourced visitors spending $176.50 per capita daily aren’t the moneyed demographic the industry needs to target. Visitors coming from San Diego or San Jose, two of the cities Southwest will connect to Hawaii, already have daily access to the upscale retailers that attract deep-pocketed visitors. In 2018, personal daily spending on shopping by West Coast visitors averaged $16.60, according to HTA data. The equivalent level for Chinese visitors was $109.30. Third, Hawaii lacks sufficient accommodations capacity. As the visitor census grows, fueled by not-so-big spenders, so will competition for affordable accommodations, often meaning vacation rentals (which divert housing from local residents). Ten years ago, Hawaii had 6.42 million visitor arrivals. By 2018, as arrivals neared 10 million, visitor unit capacity had increased by only 7 percent. Attracting visitors to Hawaii is a state function managed by HTA. Mitigating its impacts falls largely on the individual counties. It isn’t clear the two sides share the same mandate or track. Recent polls show that an increasing number of residents view tourism as a growing inconvenience. Hawaii needs a working and practical consensus on how to best negotiate continuing growth in visitor numbers. Bigger numbers may mean bigger returns, but they also mean bigger threats to the local economy.